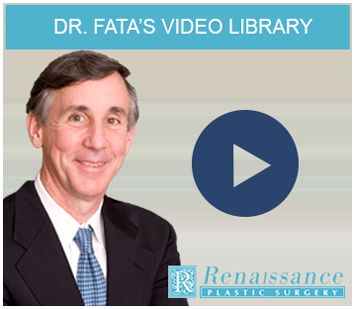 Renaissance Plastic Surgery is home to board-certified plastic surgeon Dr. Joseph Fata. For over 25 years, Dr. Fata has been providing customized cosmetic services and surgical procedures to men and women living in and around Indianapolis. If you live in the area and are considering plastic surgery, Dr. Fata welcomes an opportunity to meet with you and listen to your concerns, enabling him to provide honest information about which treatment options will best meet your needs. If you live in Indianapolis, Carmel, Noblesville, or surrounding areas of Indiana and are considering an aesthetic procedure, please call Renaissance Plastic Surgery at 317-575-9152 to schedule your consultation with Dr. Fata today. All of Dr. Fata’s plastic surgery procedures are performed in accredited surgical facilities in Indianapolis or Caramel. Choosing accredited surgical facilities helps guard your health and wellbeing by keeping your surgery fully staffed with trained and experienced medical personnel in an environment designed for swift response to any potential complication. While complication is sometimes unavoidable, Dr. Fata enjoys an excellent safety record and only performs procedures with a long-standing history of safety and efficacy. The fees for attending staff, anesthesiologists, and other professionals are included in the cost of your plastic surgery procedure, as are all follow-up visits. At Renaissance Plastic Surgery, the fee you are charged is all-inclusive. Most of the plastic surgery procedures offered by Dr. Fata are out-patient, but some may involve an overnight stay for monitoring. In these cases, arrangements will be made to perform your procedure in a facility such as St. Vincent Hospital that is equipped for longer stays. Dr. Fata works to minimize surprises. If an overnight stay is anticipated, he will discuss preparations well in advance of the day of your surgery. At Renaissance Plastic Surgery, we thoroughly evaluate all of our patients to ensure they are sound candidates for the procedures they wish to undergo. This approach is crucial if you are to have a positive plastic surgery experience. One underrated element in a patient's experience is preparation. 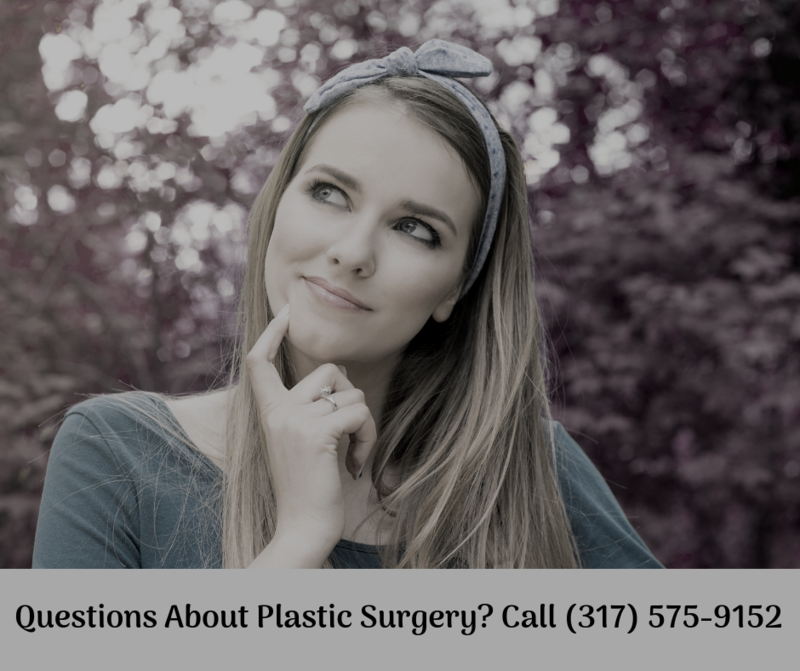 It is critical that Indianapolis patients have all of the necessary information when they consider a plastic surgery procedure or cosmetic treatment. Dr. Joseph Fata has decades of experience performing plastic surgery and works to ensure patients have a full, thorough understanding of everything that goes into a procedure. Most patients have two office consultations, including the pre-operative visit, to confirm that they are fully prepared for their upcoming procedure. Different cosmetic procedures, such as breast augmentation and tummy tuck, vary in the time required for recovery. After breast augmentation, most patients are able to return to normal activities after 24 hours. A tummy tuck, however, requires a week off from work and restrictions on strenuous activity for 4-6 weeks. During the planning phase for your procedure, what you can expect during recovery and steps you can take to speed the process will be covered in full. Our patients are almost always thrilled with their results. Part of the reason for this high satisfaction rate is the thorough preparation so that expectations are in line with the expected outcome. Reasonable expectations. Plastic surgery can achieve extraordinary things, but there are limits to what a procedure can accomplish. Healthy reasons for undergoing a procedure. Plastic surgery in reaction to a depressing or traumatizing life event is rarely a good idea. You should go into your procedure when you are at a good point in your life. The only good reason to have cosmetic surgery is for yourself so that you not only look better but feel better about your appearance. Our goal is to leave you happy with your results. Everything we do is designed to achieve that goal. The term “cosmetic surgery” refers to elective medical procedures and techniques with the sole intent and purpose of furthering a patient’s aesthetic goals. Skilled surgeons can perform cosmetic surgery on the face, neck, breast or chest, and body, with the intent always being to make a cosmetic update as opposed to a necessary physical reconstruction. On the other hand, plastic surgery is a medical specialty devoted to rebuilding and restoring areas of the face or body that are flawed or fail to function properly due to a birth defect, disease, serious burn, accident or a similarly destructive trauma. This type of surgery is designed to correct physical dysfunctions and promotes techniques that reconstruct physical form and function. 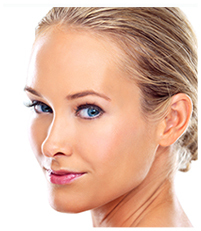 Oftentimes, a patient’s aesthetic goals and needs dictate that a surgeon employ techniques that are both cosmetic and reconstructive. That’s when you want an Indiana plastic surgeon with Dr. Fata’s high-level skill and insight. Click here if you're wondering why these qualifications really matter. Once you're done your homework, you'll realize why Dr. Fata is one of the most respected surgeons in Indianapolis, Indiana, and has been featured as one of the city’s “Top Docs” by Indianapolis Monthly magazine as well as being named a Top Doctor by RealSelf.com. When you need a skilled surgeon in Indianapolis, Indiana who has the training, insight and artistic sensitivity to deftly manage your cosmetic or plastic surgery procedure, please call Renaissance Plastic Surgery at 317-575-9152 to schedule your consultation with Dr. Fata. We welcome patients from Zionsville, Avon, Brownsburg, and all surrounding areas of Indianapolis.